VIA Rail Canada plans to increase passenger service to four trains a day in and out of Sarnia next year. The service will be a mix of a traditional train between Sarnia and Toronto and two-car commuter trains running between Windsor, London and Sarnia. 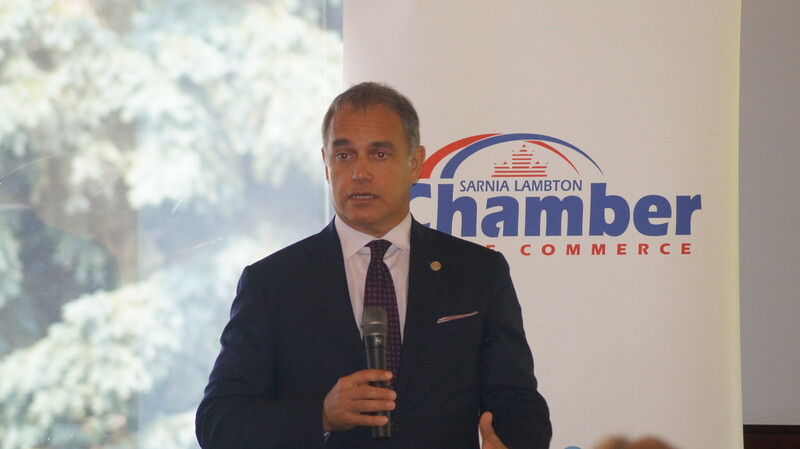 President Yves Desjardins-Siciliano made the announcement Wednesday afternoon at a Sarnia-Lambton Chamber of Commerce luncheon. He says the new trains will continue to make stops in rural parts of the county with the plan to accommodate, students, seniors and the business class. The Toronto bound train out of Sarnia will use the south tracks from London to Toronto, reducing travel time by about an hour. Expansion plans are subject to VIA working out track availability with freight rail companies. Desjardins-Siciliano says there are also plans to upgrade the Sarnia train station but a significant increase in traffic is needed before an employee would be hired to staff the facility. He says they hope the announcement will help boost ridership locally, which was down 22 per cent in the first quarter of 2015.